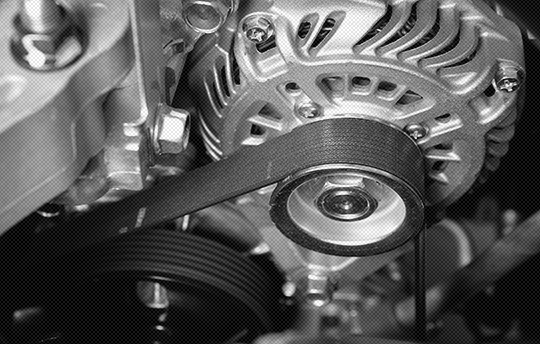 The timing belt on your vehicle has a recommended replacement interval based around time and mileage. This is set by the manufacturer of your vehicle and it is important this is followed as failure to do so can result in extensive damage to your engine at considerable cost. Typical causes of timing belt failure vary from old age to contamination by an adjacent oil or water leak. The timing belt tends to operate other components such as tensioner, idlers and sometimes even water pumps, the condition of these has an effect on the belts life. Over time, their bearings may dry out, causing a squeak that should be heeded. In some cases, idlers and tensioner can seize, throwing the timing belt from its pulleys and causing extensive damage to the engine, with bent valves and even holed pistons. 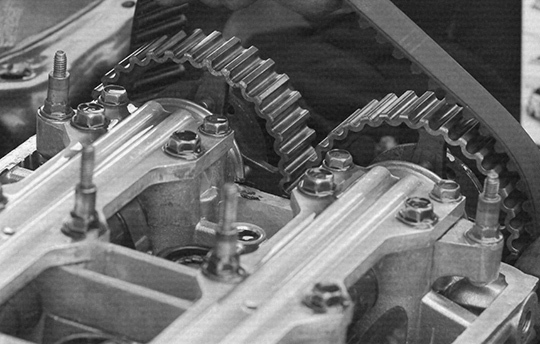 All our quotes for timing belts include replacement of the belt, tensioner and idlers unless specified otherwise. We will always advise that the water pump is replaced if it is driven by the timing belt but this is optional. All work is fully guaranteed with a 12 months warranty. We will also beat any like for like quote on all work.